If you enjoyed the meal tell your friends! if anything was missing tell it to the servants and maidens. 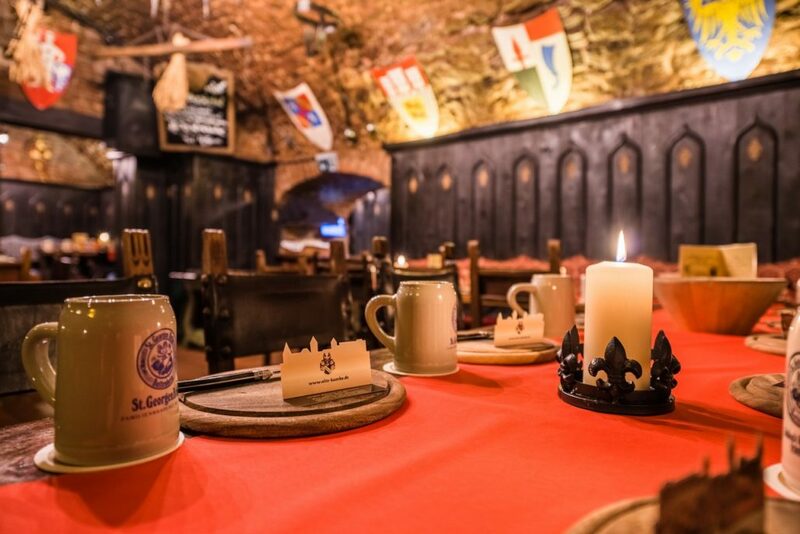 Come into the historical convent cellar from the 12th century right next to the “Kaiserburg”. 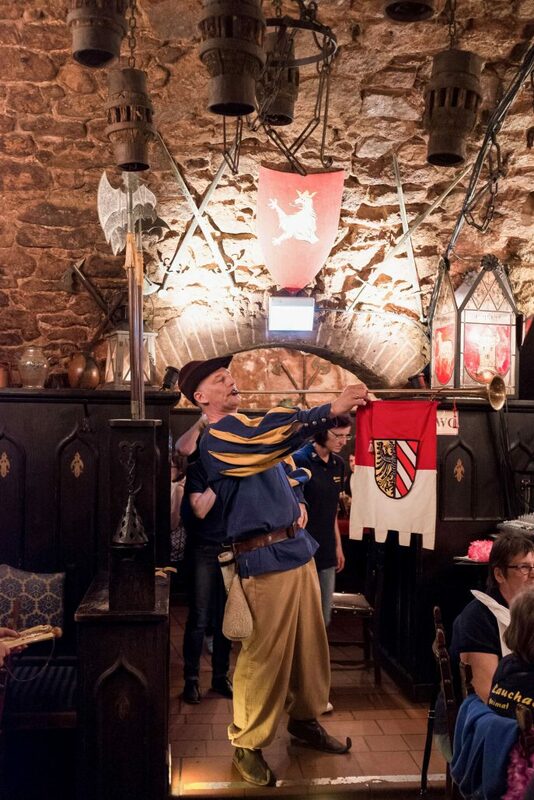 Have yourself taken back into the time of robber-baron “Eppelein on Gailingen”, enjoy the time of the 12th century, follow Nuremberg’s traditions and henceforth you will be “Wefs” and “Wears”. 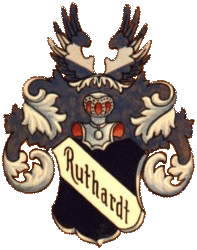 Do not be seated at the table before you have washed the hands properly and before you start using the knife. This shall be the only „tool“ apart of your hands. 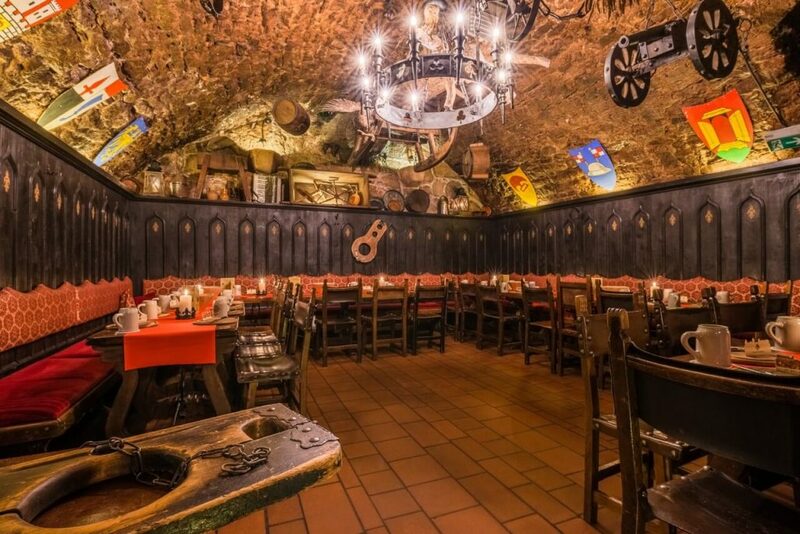 Where once nuns feasted the robber-barons, maids and servants welcome you and serve the meal. Don’t forget to have some bread which your meal – you’ll need it as a tool. Under the old tradition your leftovers will be distributed among the poor and the old. Those of you who don’t obey these rules and those who don’t say „cheers“ will end up in the Iron Maiden. 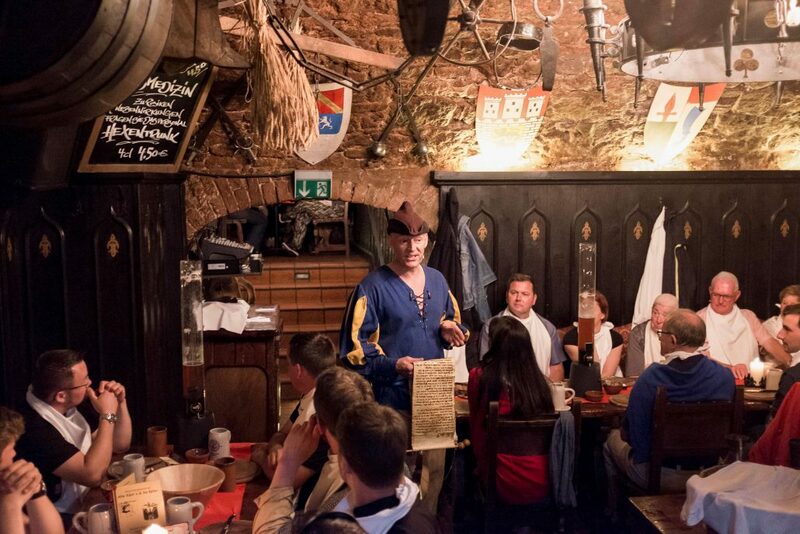 For this medieval meal you have to pay € 41.90 per person – all drinks have to be paid extra. This meal starts from 20 persons onward, but on request you can participate with less people. To the feast the 3 litre Kellerbier-pillar tastes very well (not included). On a full stomach take our home made medizine. Daily open from 17.30 am to 1.00 am, for groups also during the day. Up to 50 people can be served in our restaurant. Reservations can be made from 2.00 pm onward.